If you dream of having a larger home but don’t want to deal with the stresses of moving into a new house, having a home addition installed is the perfect solution for you. For a home extension that will perfectly complement the architecture of your residence, turn to the professionals at Star Home Remodeling. 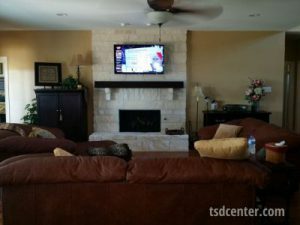 We can custom design and build a wide array of room additions for homes throughout the Frisco, Texas, area to meet virtually any aesthetic preferences and needs. For instance, we can craft bedrooms, home offices, home gyms, in-law suites, and so much more. And, when we design and build out a space, we can incorporate a wide selection of custom products. For example, if you want an in-law suite, our team can include a full-scale kitchen, bathroom, laundry room, and any other features you’d like to add to the space. We are even able to custom-curate and install beautiful fireplaces, mirrors, and light fixtures. When you partner with us for your home improvement project, you can rest assured that we’ll provide you with outstanding customer service. We’ll begin your home remodel project by speaking with you at your house or our showroom. At this consultation, we can speak with you in detail about the room additions we are able to design and build. Our team will also take the time to learn about your style, needs, and budget so that we can create the best plan for your home remodel. We are proud to be a no-nonsense business, always being upfront about construction times and prices so that there are no surprises throughout the life of your project. Are you ready to learn more about the room additions we craft for homeowners throughout the Frisco, TX, area? If so, contact Star Home Remodeling today. We’ll be happy to arrange a complimentary consultation for you.